Central California airshows - vintage planes and military aerobatics over vineyards and fields of lettuce - a great setting for a fun event. 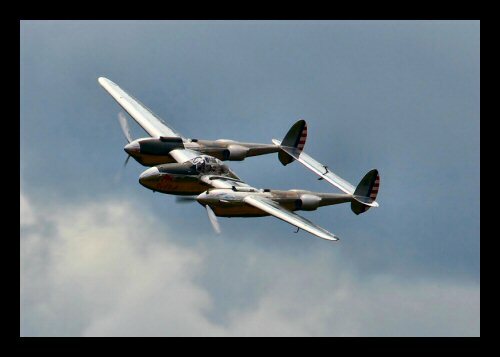 This week's Photo of the Week is a great shot of a P-38, the twin fuselage WW2 era fighter, at an airshow. The next month features two airshows here in Central California - The California International Airshow in Salinas on Sept. 22 & 23; and then the Paso Robles Airshow on Sept. 29. The Salinas Air show is the bigger of the two and lasts two days, but both shows have a wide array of interesting planes in the air and on the ground. The P-38 is always a favorite at California airshows since it has such an unusual design and is also a great performer being fast and maneuverable. 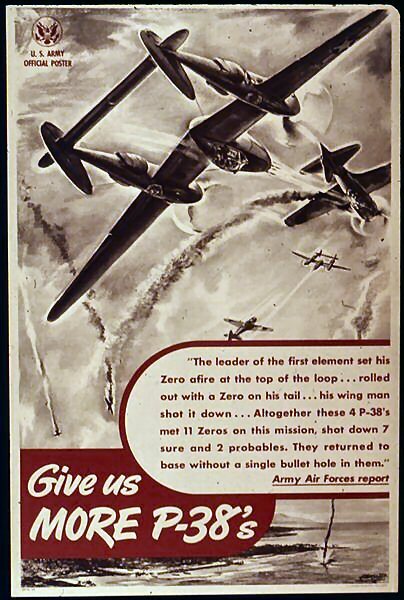 It was the only American fighter plane in production from the beginning to the end of the war. The Salinas Airshow is very popular and a great show usually with two military aerobatic teams, lots of other planes, monster trucks and plenty to see and do. The Paso Robles airshow is put on by the Estrella Warbirds which runs a worthy museum dedicated to military aircraft at the Paso Robles airport. If you're not able to make the airshow, be sure to stop at the Warbirds museum between winery tastings. This year's Warbirds over Paso is being run in conjunction with the Planes of Fame museum in Chino. The Planes of Fame also holds a very highly rated airshow and this should increase the visibility and attendance at this year's event. The real message here is that Central California has a very wide variety of activities and attractions available throughout the year. Certainly good wine and excellent food can be the center of any vacation or getaway, but don't need to be the only focus. If you subscribe to our RSS feed or our Facebook page you can keep up to date on the latest events and happenings here in Central California.